You might think that Hawaii is all about lying on the beach, surfing and enjoying the spectacular scenery. 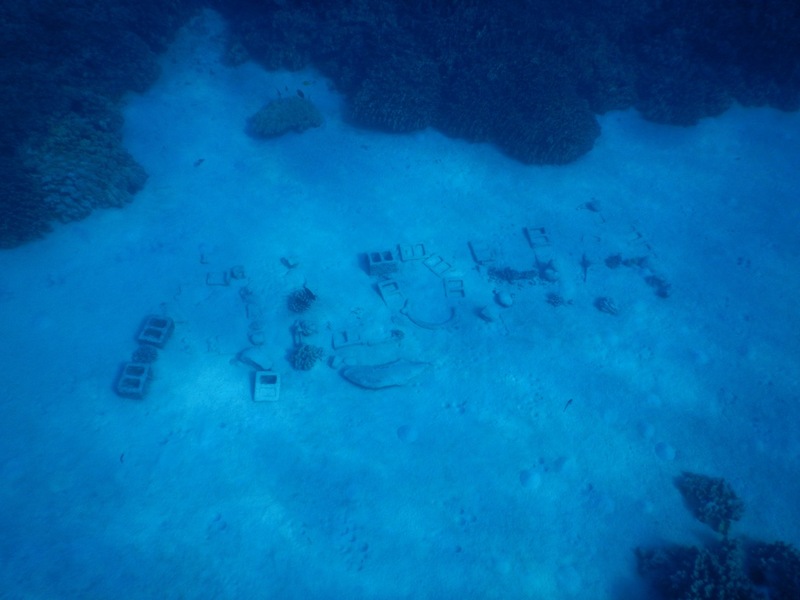 But some of the best things to explore in Hawaii are found under water. Beneath the stunning blue sea is a world of tropical fish, colourful coral reefs, friendly green sea turtles, rays, dolphins and many other species of marine life. 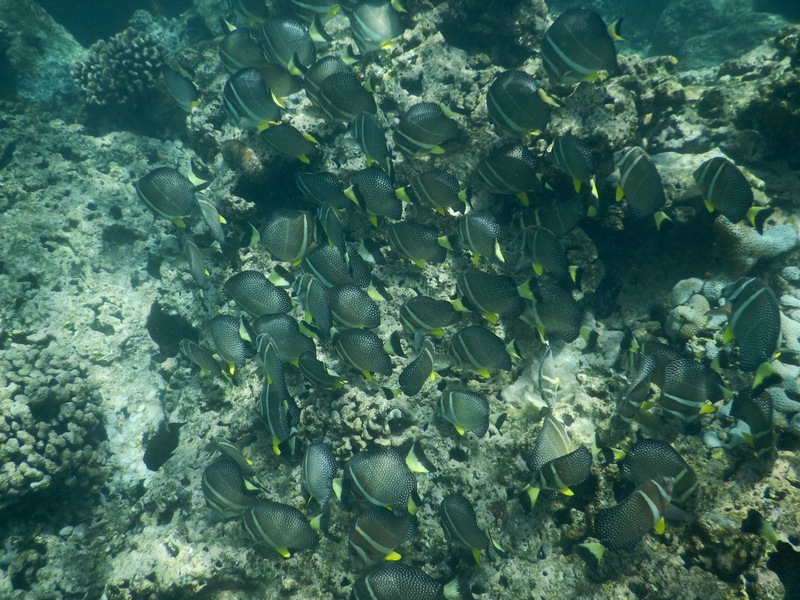 A school of Surgeonfish in Hanauma Bay. Hawaii is a snorkeller’s paradise. 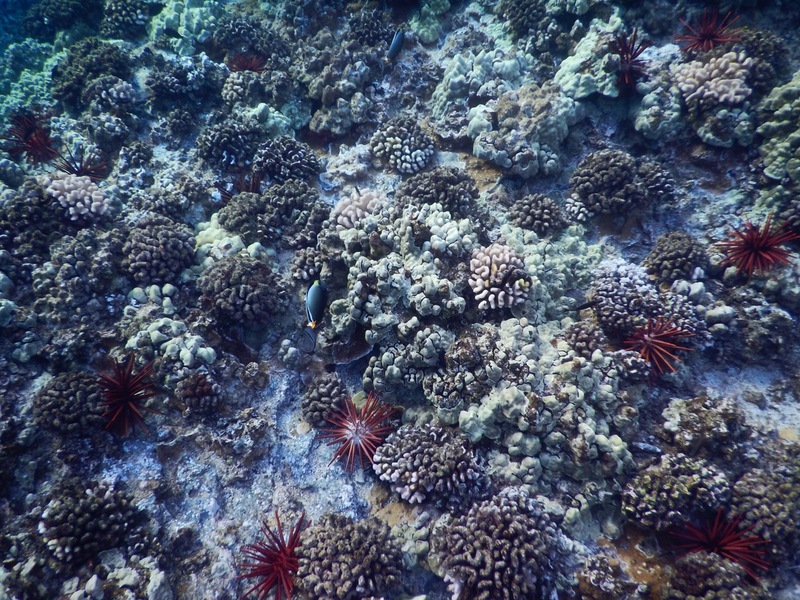 This is an absolutely pristine marine life conservation district. It was here that Captain Cook first landed on the Big Island (hence its nickname). It was also where he was killed, during a clash with native Hawaiians. Some awesome snorkelling at Kealakekua Bay. 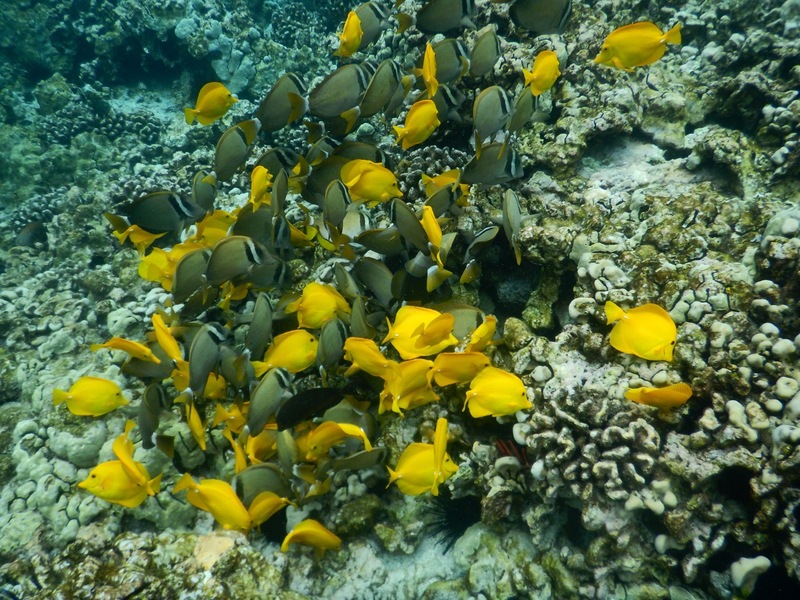 Kealakekua Bay is full of beautiful coral gardens and vibrantly coloured schools of fish. The water visibility is fantastic, and you will often see eagle rays, turtles, eels and dolphins in the area. 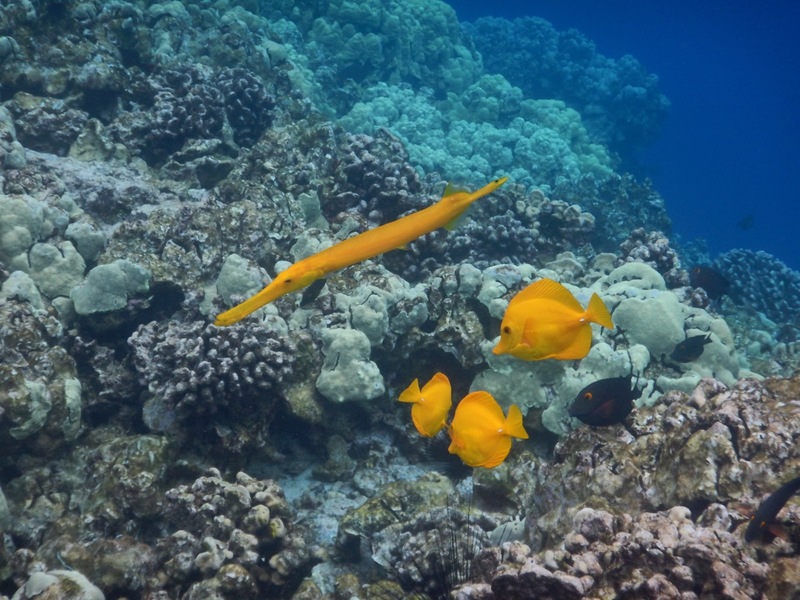 A Yellow Trumpetfish at Kealakekua Bay. 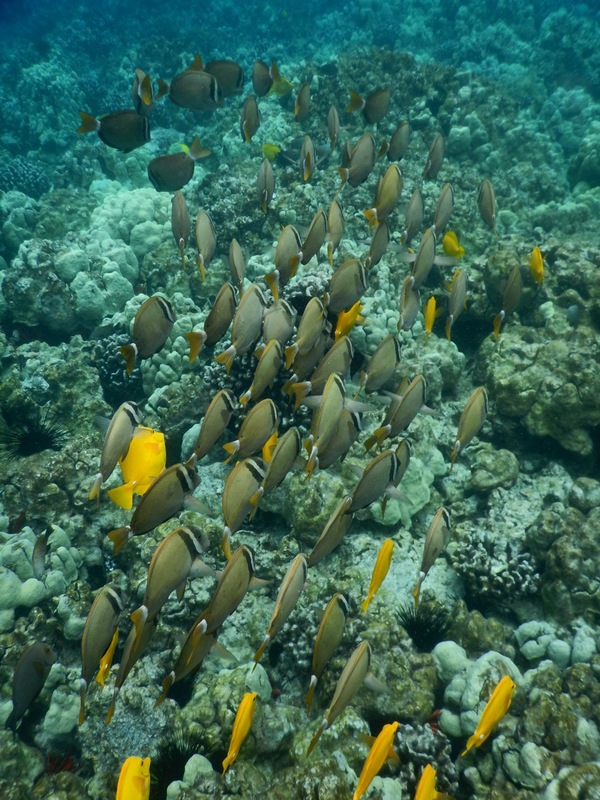 A school of Whitebar Surgeonfish. However, Kealakekua is not easy to access. To get there you will either need to hike for a couple of hours, rent a kayak, or book one of the many snorkelling trips offered on the island. We decided on the final option and booked with Fair Wind tours. It made everything so much easier and we spent an amazing two and a half hours snorkelling in the bay. The highlight was being greeted by a pod of dolphins as we entered the bay. Definitely a day to remember! We were greeted by dolphins! The Molokini Crater is found three miles off the coast of Maui. It can only be accessed by boat. This partially sunken volcanic crater has some of the clearest water in Hawaii with visibility to well over one hundred feet. The marine life is incredible! 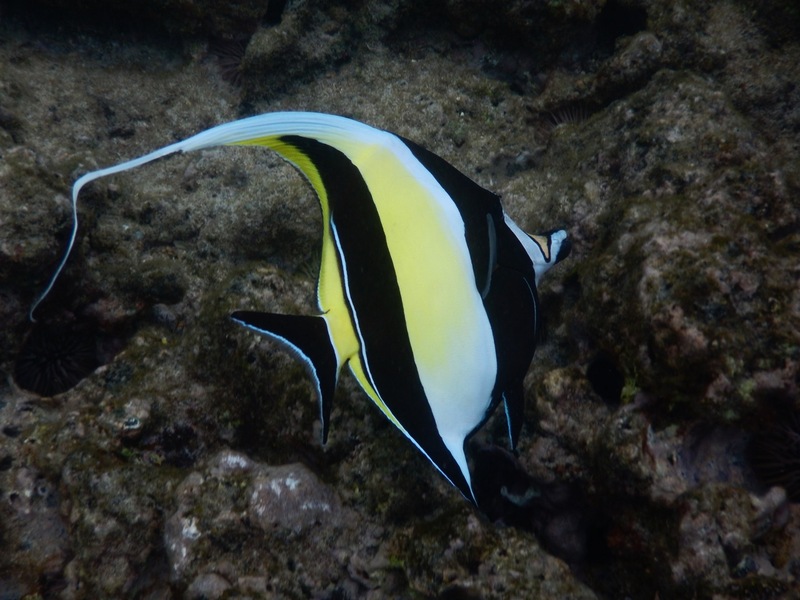 There are approximately two hundred and fifty species of fish in the crater. 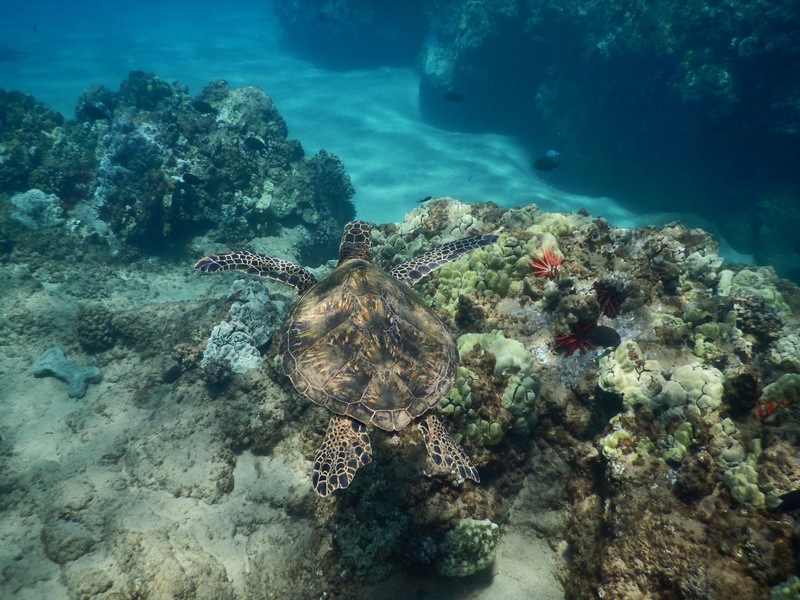 While snorkelling at Molokini you will also sometimes see turtles and reef sharks. Snorkelling at the Molokini Crater. 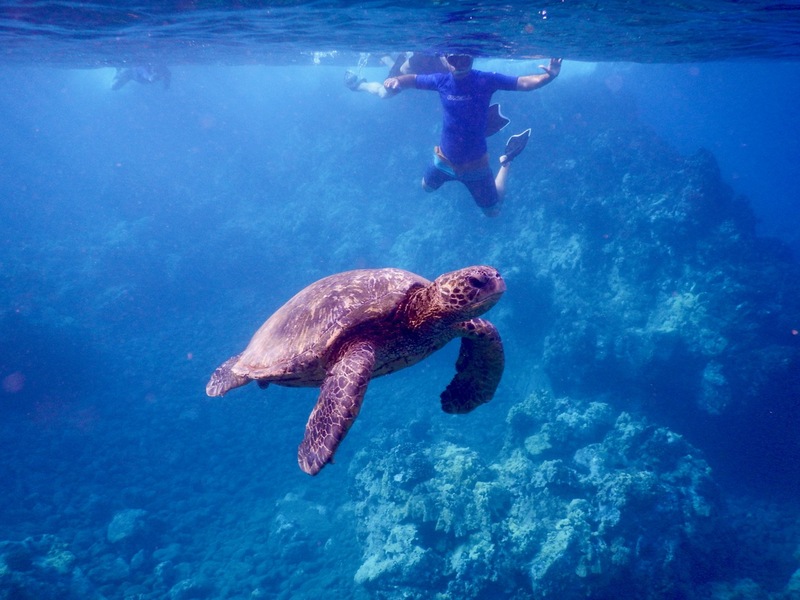 Snorkelling with turtles at Molokini. Tip: We used the boat operator Kai Kanani and took their express early morning tour. We were the first tourists at the crater and we avoided the crowds. It was a 6 am start but it was totally worth it. 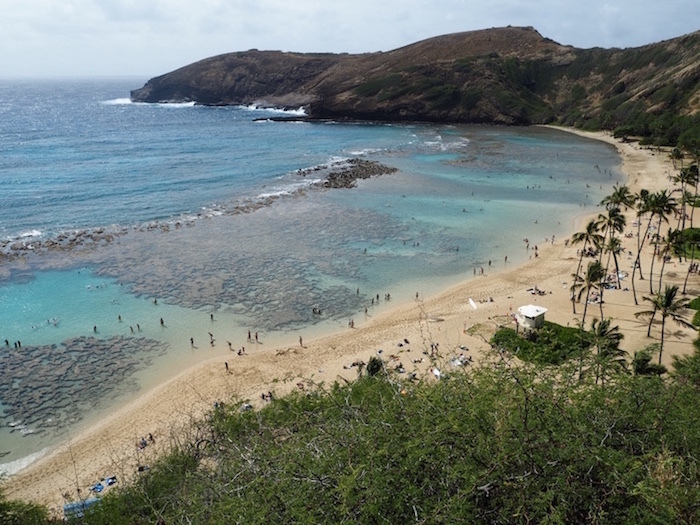 The sheltered Hanauma Bay is the best snorkelling spot on the island of Oahu and also the most popular. This nature preserve and marine life conservation district attracts around three thousand visitors a day. Unfortunately, this makes it extremely touristy. But somehow it’s still an awesome snorkelling spot, with a large amount of coral and an estimated four hundred species of friendly fish. Just be sure to arrive super early to avoid the crowds (even more so if you are driving as the car park can be full by 9 am). 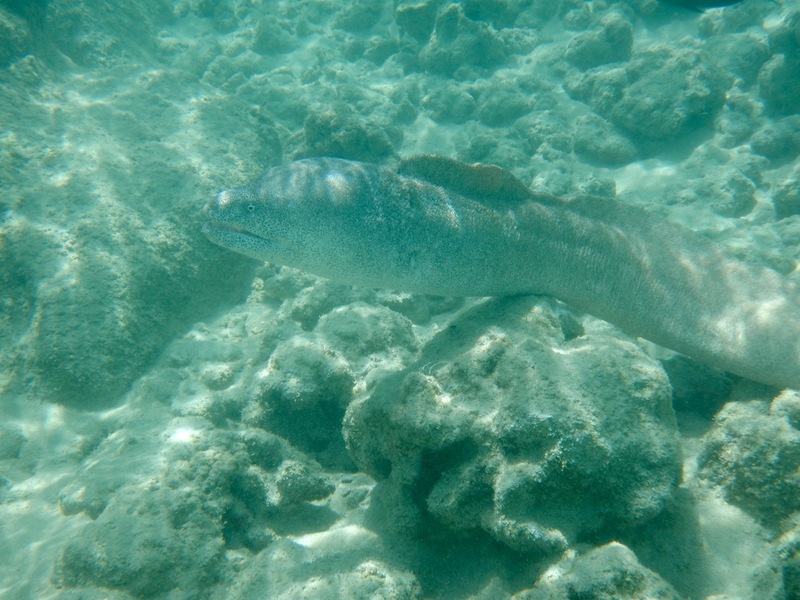 A Moray Eel at Hanauma Bay. 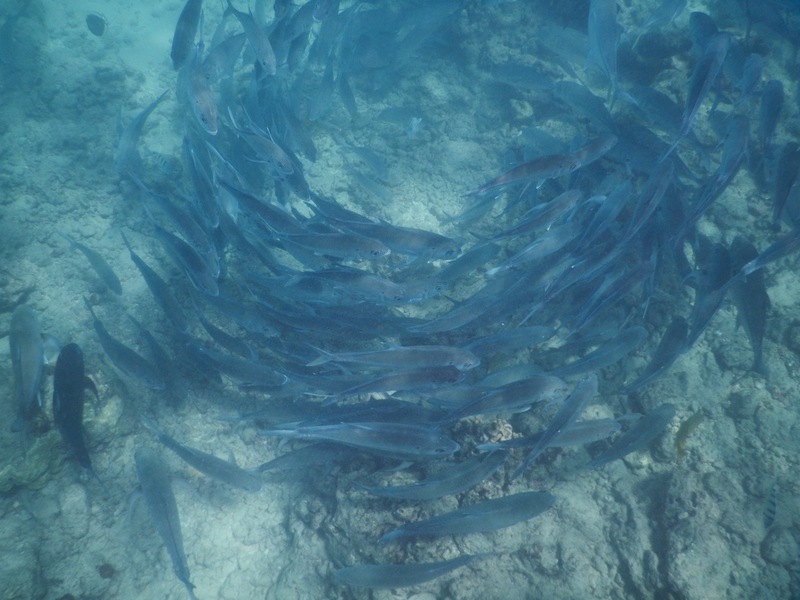 Fish swimming in circles, Hanauma Bay. It costs $7.00 to enter the reserve, and no-one can swim until they’ve watched a brief safety video. Note that the bay is closed on Tuesdays to allow the fish to have a day off, and to feed without interruption. 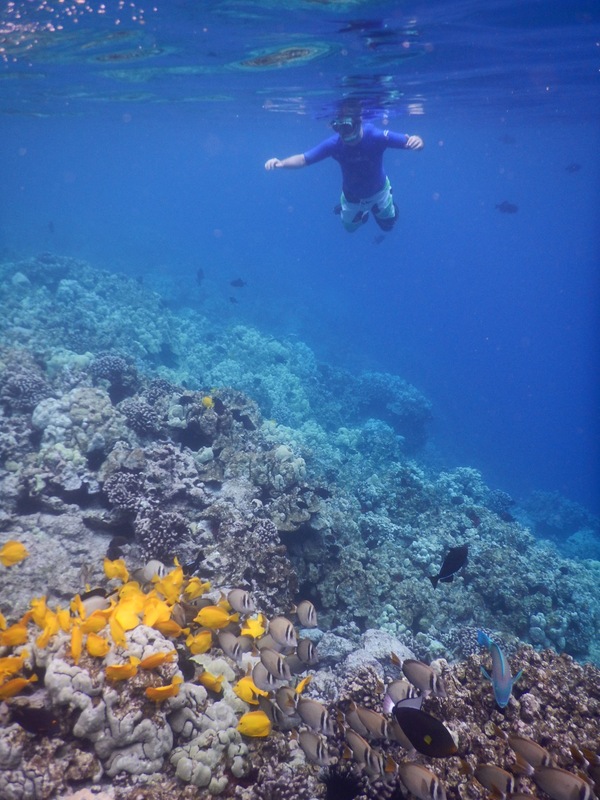 Another great snorkelling spot on the Big Island is the marine sanctuary of Honaunau Bay. It is also nicknamed Two Steps because the easiest way to enter the water is by two rocky steps. Honaunau Bay has an abundance of coral gardens and some great topography to check out. With shallow and deep areas to explore, the diversity of fish life will keep you in the water for quite a while. On the right side of the entrance, you will also find a sandy area with the letters “Aloha” written using some cement blocks. The entrance to Honaunau Bay. 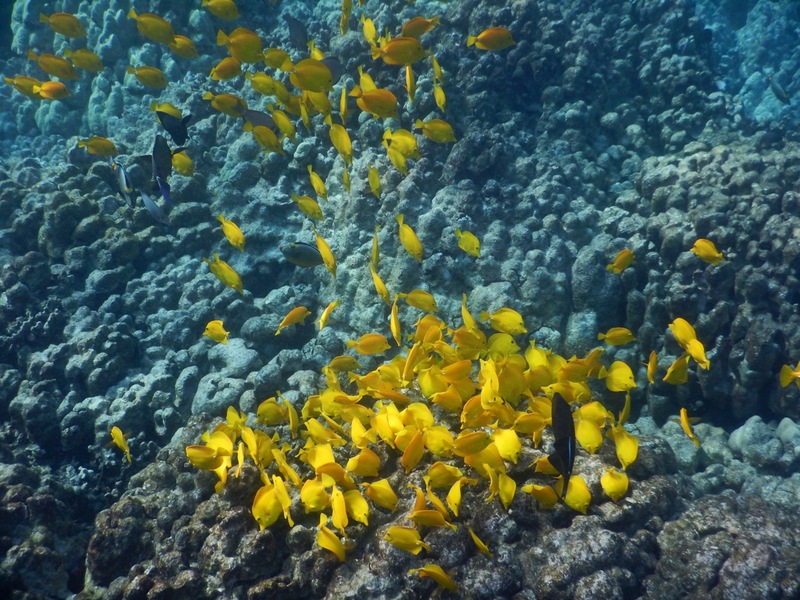 A school of Yellow Tang at Honaunau Bay. Aloha written with concrete blocks on the sand. Poipu Beach is the best snorkelling spot on the south shore of Kauai. Because it is sheltered, it’s great for any level of snorkelling experience and enjoyable all year round. 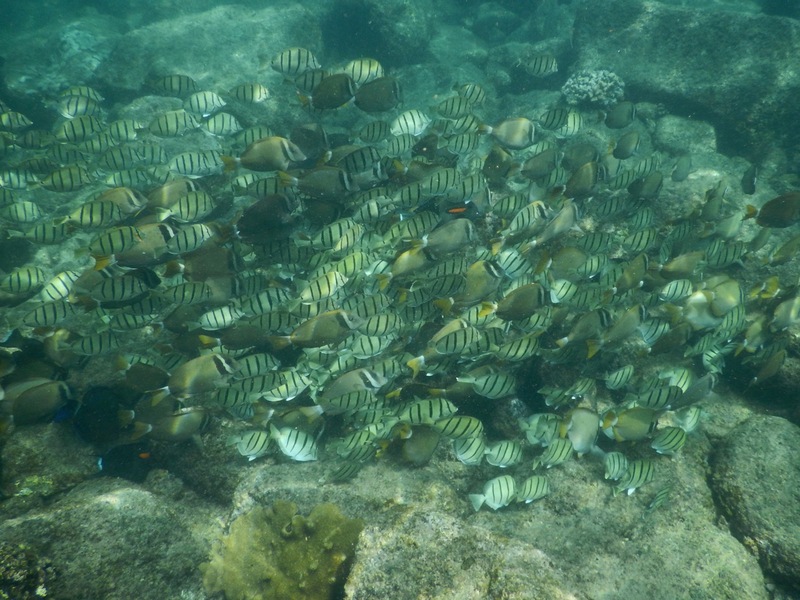 You will see many colourful schools of fish there, as well as green sea turtles who love to hang out around the beach. But the best part about this beach is the endangered Monk Seals. Yes, sometimes your snorkelling experience might turn from fish and turtle spotting into seal spotting! Quite often you’ll see Monk Seals lounging on the beach during the day, and sea turtles will commonly waddle up the sand at sunset to rest overnight. Remember, please give these animals plenty of space to relax. They’re probably rather tired from being out at sea foraging and they don’t need us bothering them during their time off! 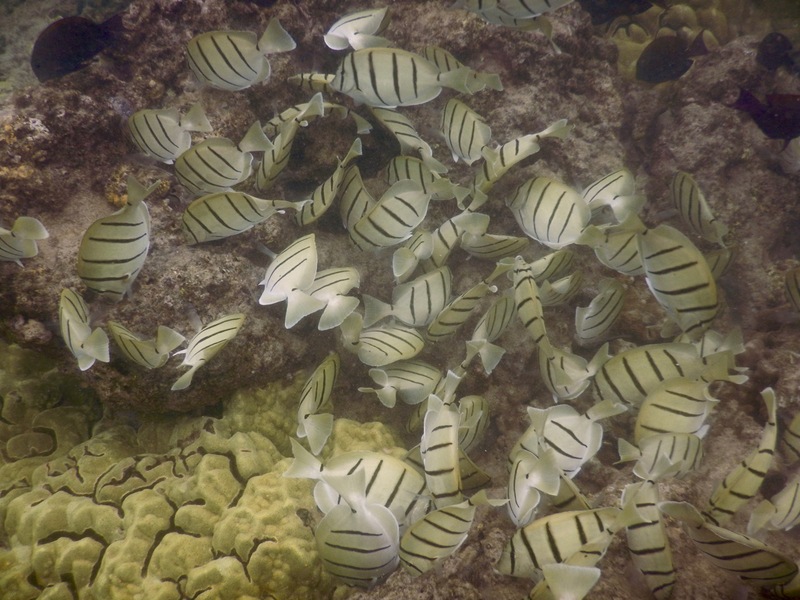 A school of Sergeant Major fish, Poipu Beach. 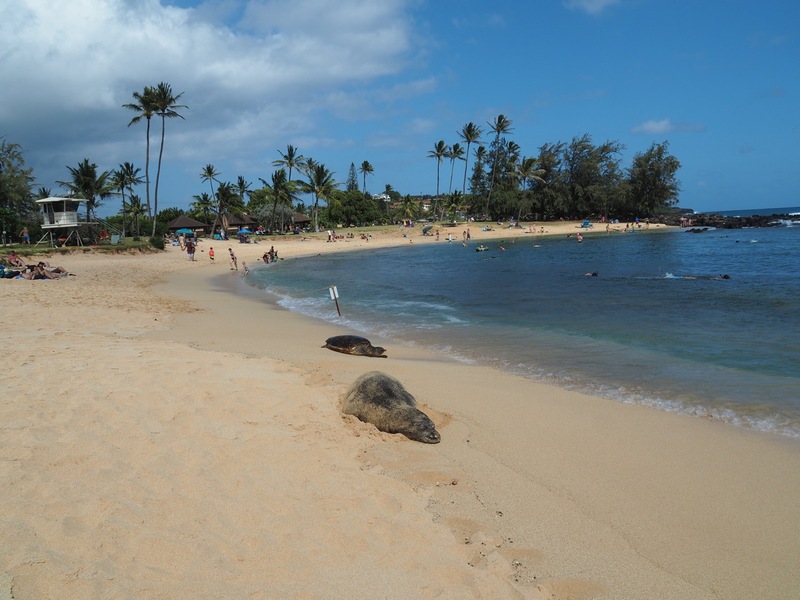 Two locals snoozing on Poipu beach. A Hawaiian green sea turtle. During the summer months, Tunnel’s beach on Kauai’s beautiful north shore is one of the best snorkelling spots. It’s not just the amazing fish and coral that make this beach so special, but the accompanying views of the Na Pali Coast. They are simply breathtaking! 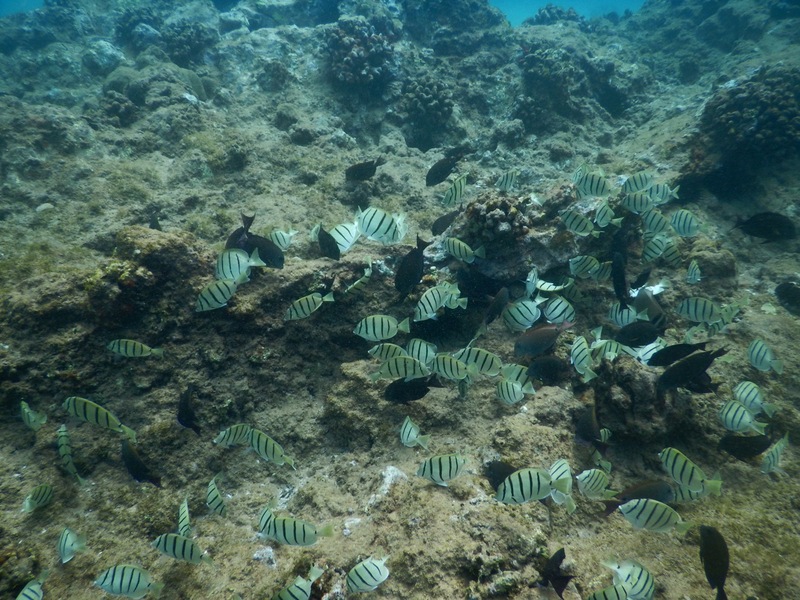 A big school of Convict Tang and Whitebar Surgeonfish. However, this beach is best for snorkelling in the summer months. Winter brings very strong rip currents and waves that can make it very dangerous, especially for less experienced snorkelers. 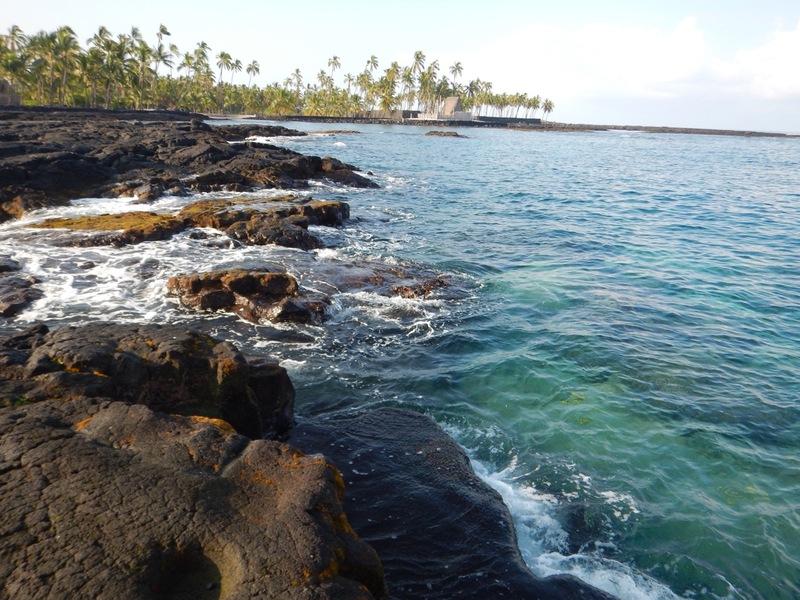 Another great snorkelling spot on the Big Island (there are a few of them!) is Kahaluu Beach. It is very easy to access. 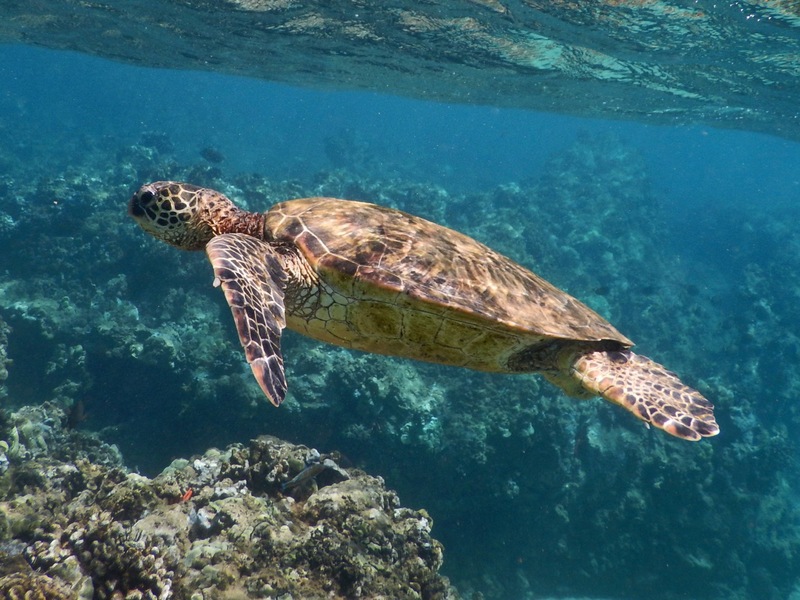 Once in the water, you will be treated to a large array of colourful fish and lots of sea turtles. This beach is home to twenty-eight juvenile sea turtles! They love to hang around the rocks close to shore and feed on the sea grass. A turtle munching on sea grass at Kahaluu Beach Park. 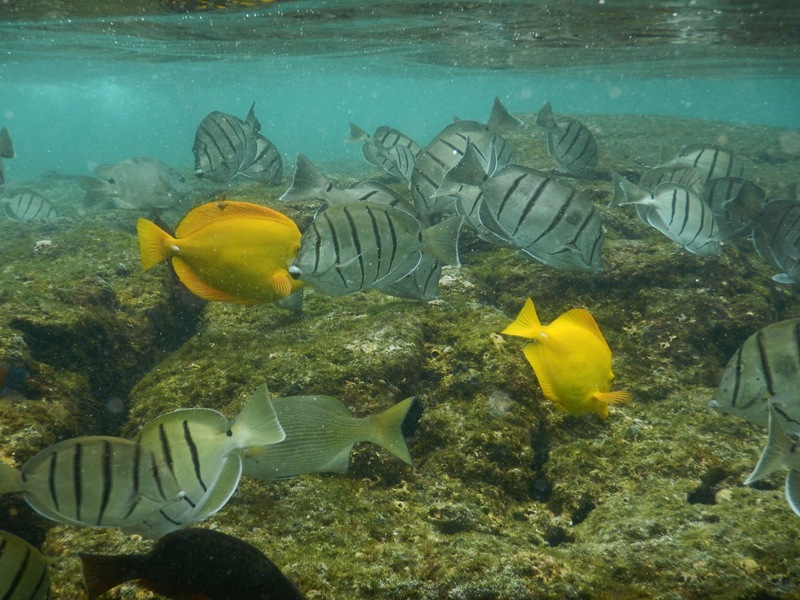 A school of Convict and Yellow Tangs at Kahaluu Beach Park. Visitors to Maui often overlook this spot and I’m not quite sure why. It’s easy to get to and we found it to have some excellent snorkelling. This one mile stretch of beach is not crowded and at both ends of the beach are rocky areas with some great snorkelling. What we loved the most was the abundance of friendly green sea turtles. The fish are also incredible and first thing in the morning the water clarity was spectacular. This beach is not only special for the snorkelling; it’s nice to just relax on its golden sand away from the crowds or to catch a famous Maui sunset. One of the many turtles at Keawakapu Beach, Maui. 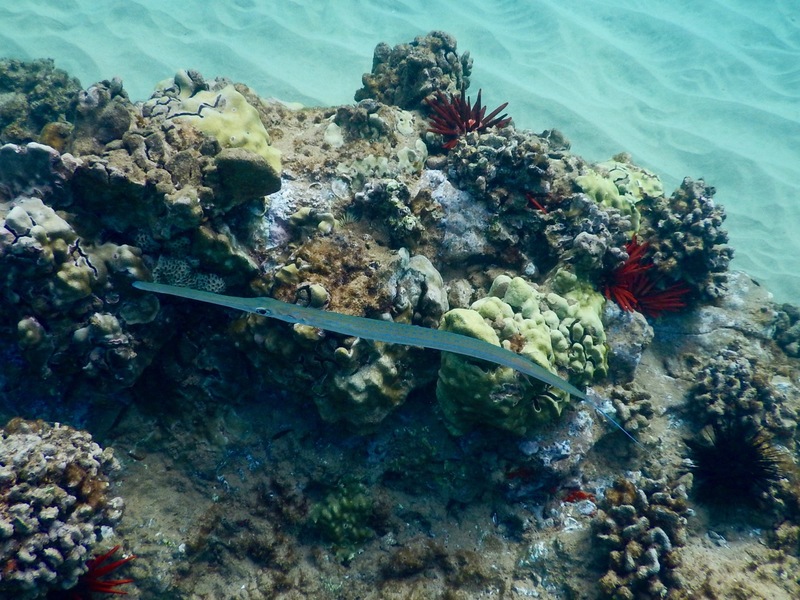 A Needlefish at Keawakapu Beach. This is a very small beach that pretty much disappears at high tide. While not great for relaxing on, it’s perfect for snorkelling. Plus it’s another great place for spotting sea turtles. I know, I know, I’m turtle crazy! 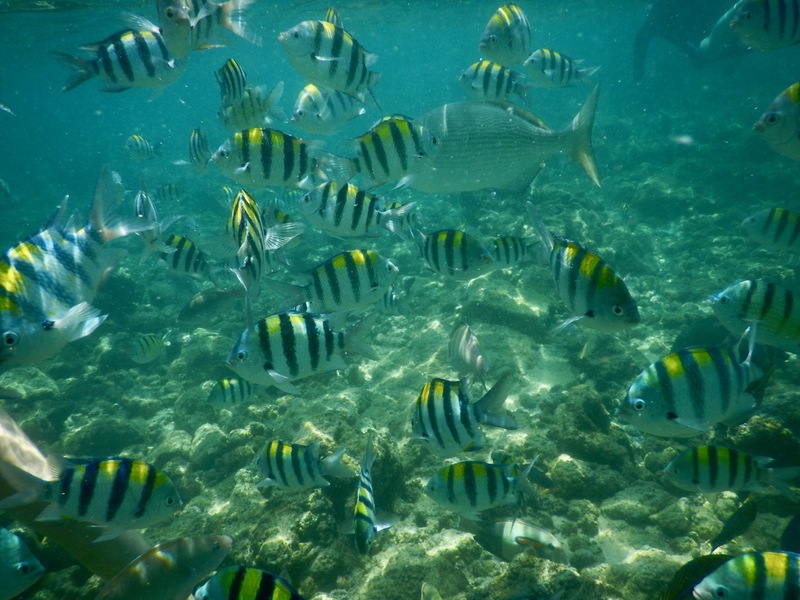 The coral here isn’t very healthy but there is an abundance of fish and the fish are extremely friendly. Lawai Beach is also a great place for watching the sunset. Two turtles at Lawaii Beach. This reserve is found one mile past Big Beach on the south shore of Maui. There is no beach to lie on, only volcanic rocks. The rocks make it a little tricky to enter the water, but once you’re in you will be glad you found this excellent snorkelling spot. Even while standing on the shore you can see a multitude of colourful fish, and as you swim out further you might even encounter a sea turtle or two. Snorkelling at the Ahihi-Kina’u Natural Area Reserve. A turtle at the Ahihi-Kina’u Natural Area Reserve. 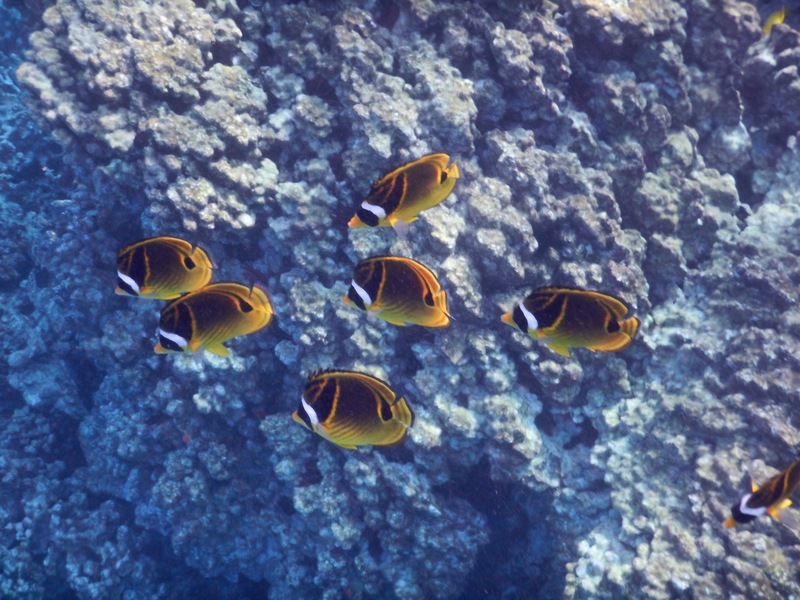 Convict Tangs at the Ahihi-Kina’u Natural Area Reserve. We are only visitors to the ocean, so we must try our best to leave it exactly as we found it. 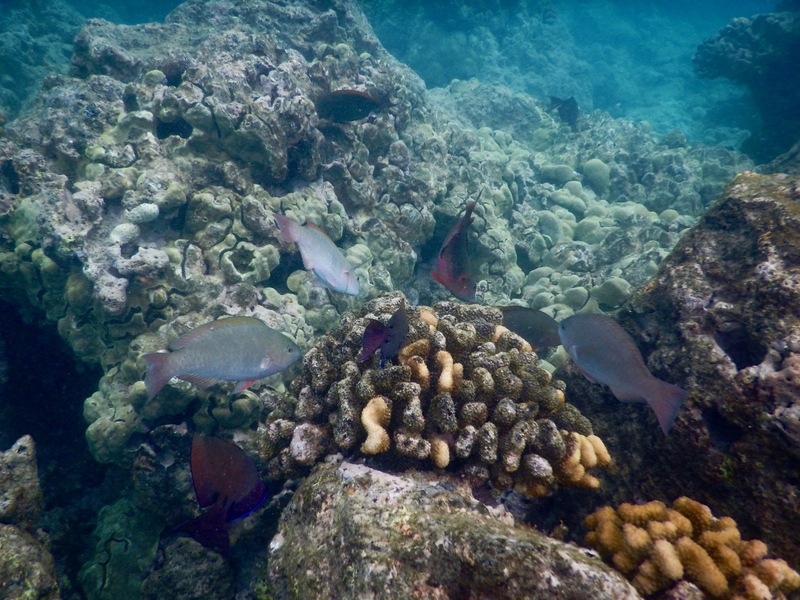 Coral reefs are living creatures and they provide a home and food source for the fish around them. Please do not touch or step on the coral as this will damage them and affect the surrounding ecosystem. They are extremely delicate, so touch them only with your eyes! 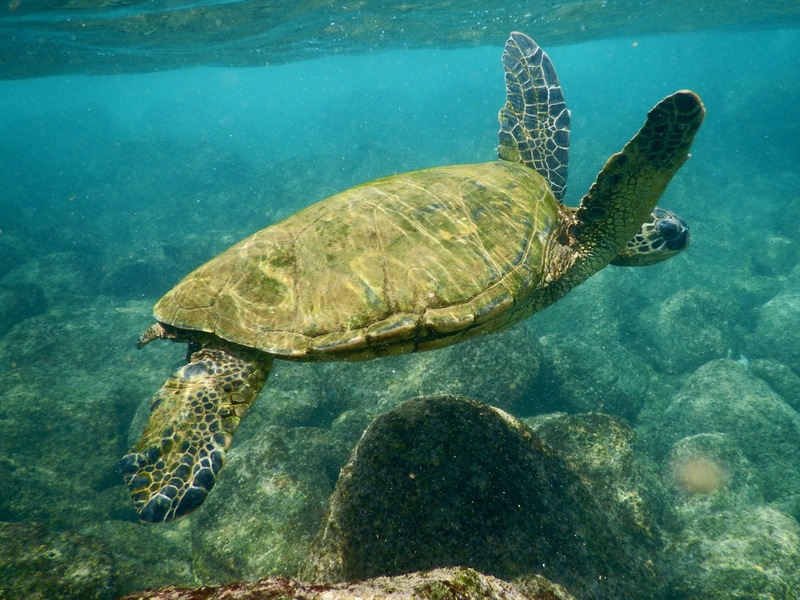 The same applies for endangered sea creatures such as the green sea turtles or the Hawaiian Monk seals which are frequently seen in the water or resting on the sandy beaches. Please do not disturb them. Give them their space and do not touch them. Failure to do so is a serious offence in Hawaii and you will be fined if caught. After you’ve finished enjoying a beach, take all of your litter away with you. Leave only your footsteps behind. Avoid the crowds by snorkelling in the early morning. You’ll also have clearer and calmer waters and you’ll get to enjoy the fish when they are more active. Always snorkel in pairs and try to maintain your bearing so that you always know where you are. 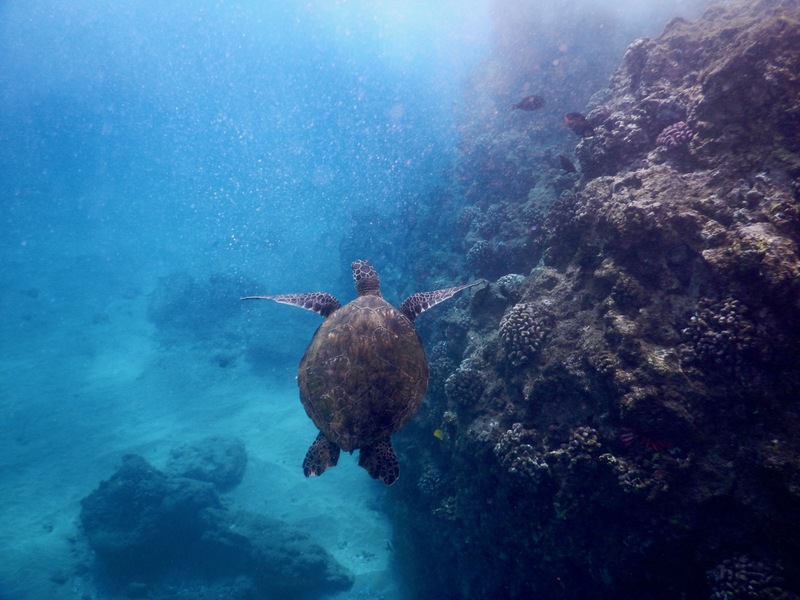 Be mindful that Hawaii’s waters are unpredictable. Avoid snorkelling in rough and choppy conditions or where might be strong currents. Read any warning signs and if in doubt ask the locals, or a lifeguard if present. Never feed the fish or turtles! It makes them sick. 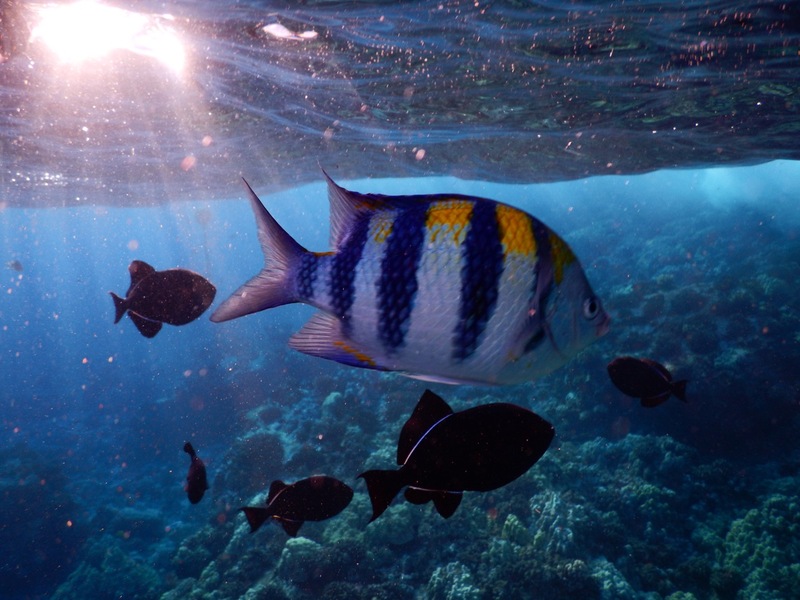 Use a reef friendly sunscreen to avoid harming the coral and other marine life. To make sure you have all the snorkelling gear you need, see our detailed snorkelling packing list. Have fun enjoying the beautiful under water world of Hawaii. Once you’re done, let us know your own favourite spots to snorkel. Mahalo for reading. 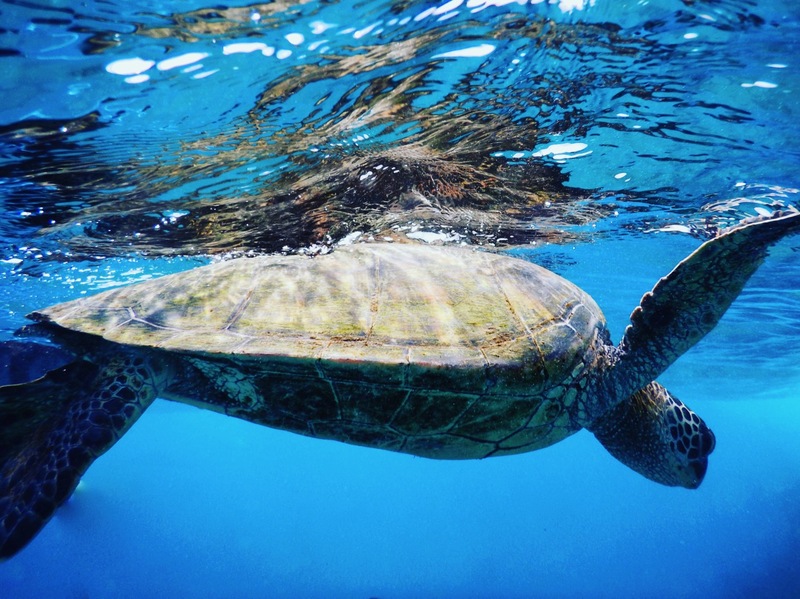 Where to find Sea Turtles on the Big Island. The Hawaiian Islands: Which one is Best for you? Can’t get over the clarity of your underwater photos. Is that down to water clarity or camera or a combination? 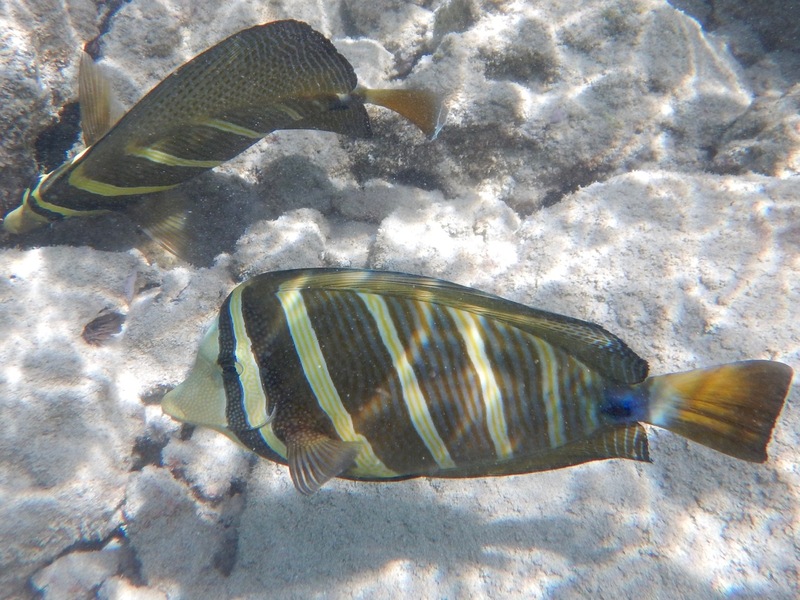 The water clarity in most of those places we snorkelled in Hawaii was very good. But our camera (a Nikon AW 130) is really good too. Certainly the best underwater camera we’ve had so far. What a great guide! We are snorkellers and scuba divers, although we are yet to visit Hawaii. I’m totally turtle mad too! I love that you could see so many just snorkelling. I’ve only ever seen one turtle on a dive. Some great photos here too. Hawaii definitely on our list! Thanks so much Juliette, I am sure you will love Hawaii. 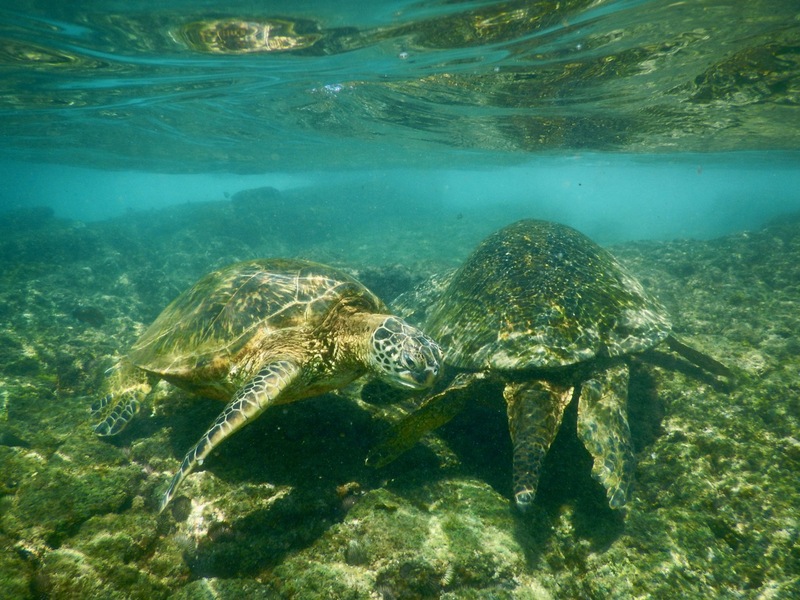 Yes Hawaiian turtles aren’t shy and they love to come close to shore. We saw some just standing on the beach!! We should really start diving too. We’ve been talking about it for a while but we really need to do more than just talk about it! Love this as I’m a water baby too. I’ve been to Captain Cooks of the list but my favorite snorkeling adventure was off the Kona coast by boat. 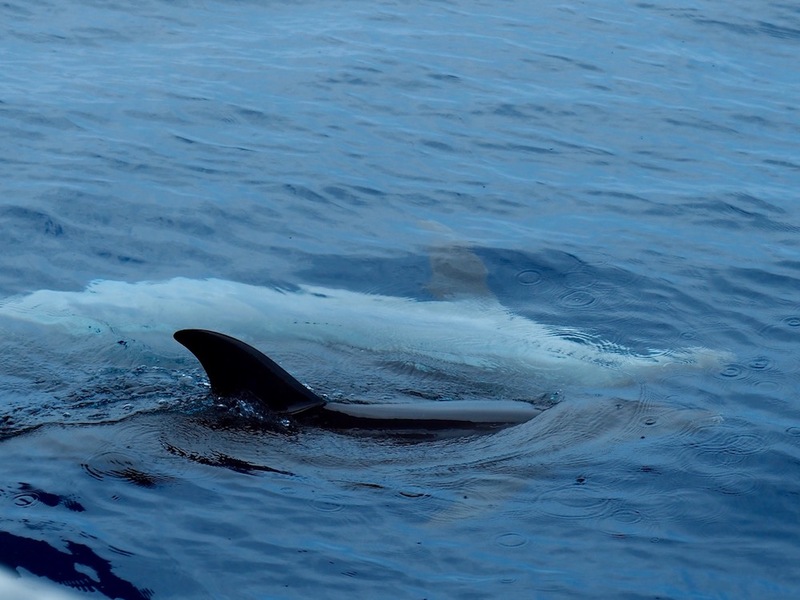 We slipped into the water just ahead of the running Spinner Dolphins. As the morning wears on they slow down and came closer!! Wow, the snorkeling in Hawaii looks incredible! 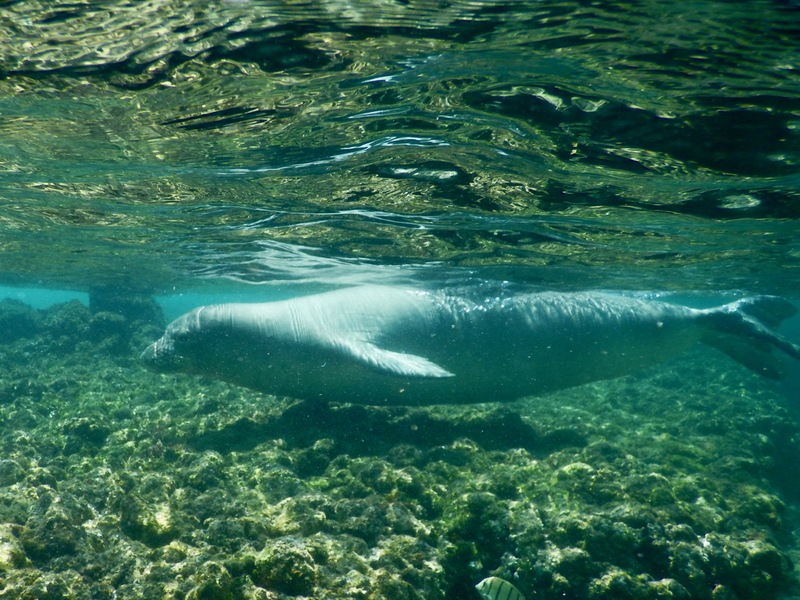 So much marine life, and how fortunate that you got to swim by an endangered Monk seal! All of the spots you highlighted look incredible, I think I would mostly want to visit Keawakapu Beach for it’s clear waters and abundant turtles. It also seems that it would be one of the least crowded spots. Thanks for the excellent break down of snorkeling spots, undoubtedly useful when planning a trip to Hawaii! Thanks Heather, I am glad you found it very useful and enjoyed the photos. All are such beautiful spots! Ive only snorkeled at Hanauma Bay a long time ago, but would love to go back again to snorkel! Hawaii definitely has some gorgeous waters! Hawaii is indeed a paradise on earth. This is an amazing list of snorkeling spots. The underwater world around the islands must be fascinating. Hope to get there some day and do snorkeling in of of these idyllic islands, probably Maui. So many great spots to snorkel! 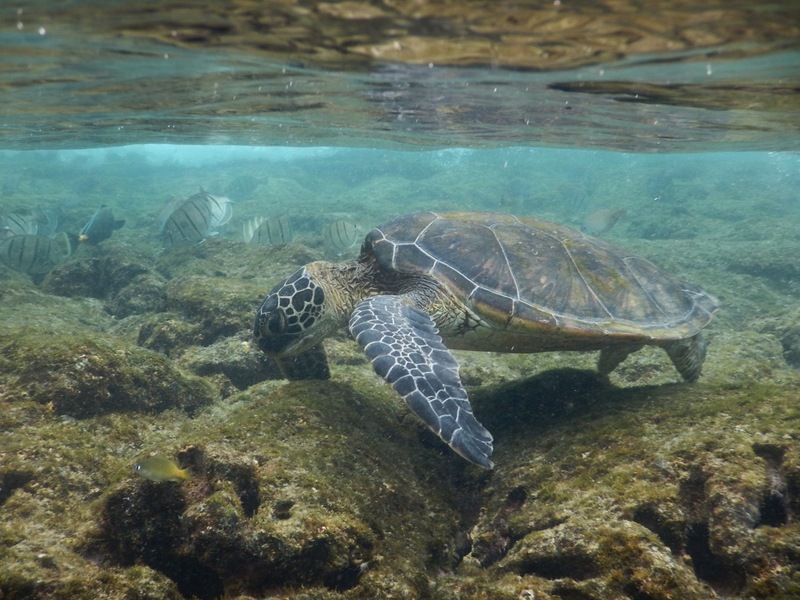 Love the sea turtle shots! We went snorkeling at Hanauma Bay and had a great time–would love to check out Molokini Crater sometime! Hanauma Bay is great isn’t it. So many fish. Glad you enjoyed the sea turtle shots. Yay, Captain Cook took the number one spot! We absolutely loved it there. When I was looking for a base on the Big Island, I thought that Captain Cook could be crowded just because who would want to miss the place where he landed (and later killed). It turned out to be such a fantastic laid-back location that I wouldn’t dream of anything else. So glad you enjoyed it too Elena. Such a beautiful spot. 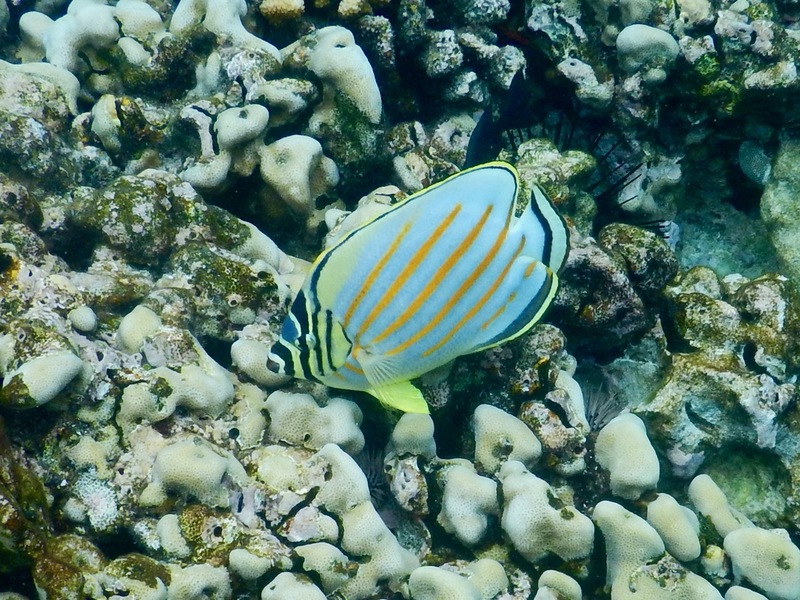 We visit Hawaii often and love to snorkel. Thanks for sharing your favourite spots. 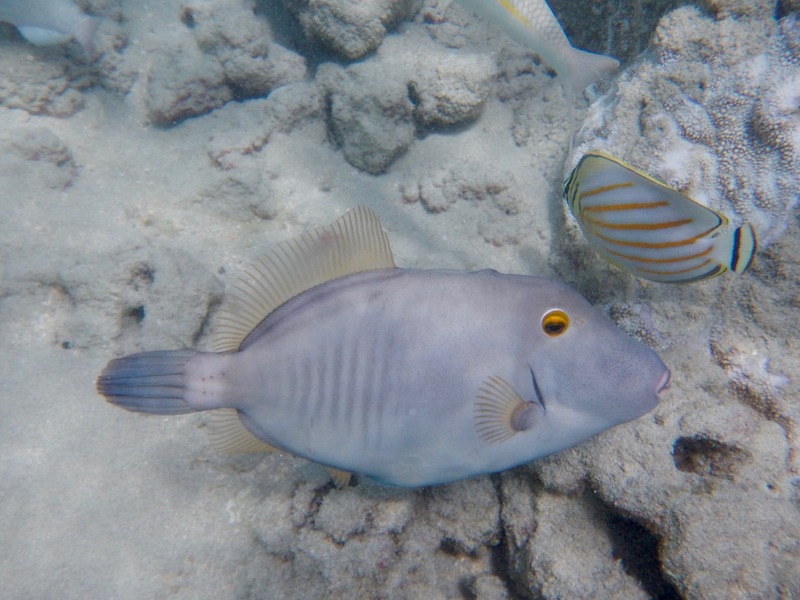 We enjoy snorkeling off a few of the Big Island beaches and in Hulopoe Bay on Lanai. Thanks Nancy, We haven’t tried Hulopoe Bay yet, we’ll have to check it out next time. Snorkeling is my favorite Hawaii activity! Great list you have here and great photos too! Thanks so much Nancy. Snorkeling is the best!